The President spies a scandal. In his latest efforts to combat the Russia investigation, President Trump asserted that the FBI had been caught in a “major spy scandal” over its use of a secret informant to determine whether some of his campaign aides were working with Russia ahead of the 2016 election. The President has alternatively suggested the mole was embedded by the opposition for political gain. 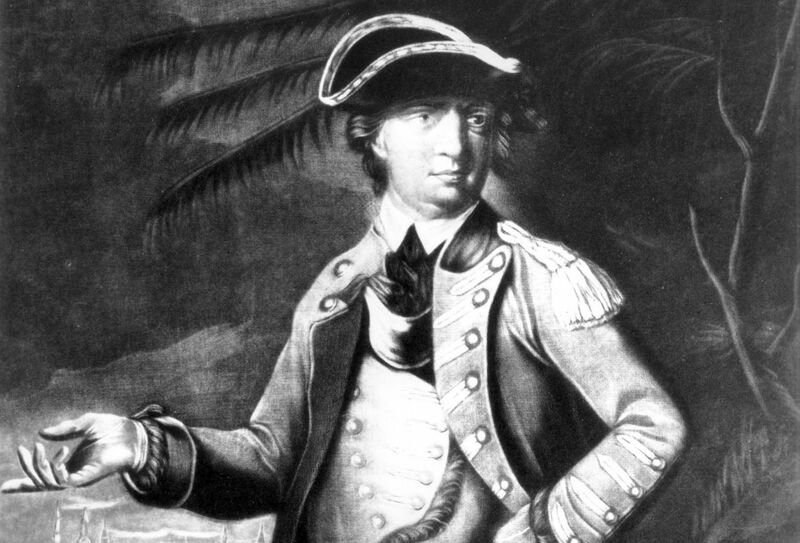 British military officer John Andre was hanged as a spy by the Continental Army during the American Revolutionary War for assisting in American General Benedict Arnold’s attempts to surrender the West Point fort in New York to the British. Passed over for promotions and frustrated with America’s alliance with France, Arnold decided to defect – and eventually opened secret negotiations with his former enemy. In 1780 he was granted control of the West Point fort, but his scheme to hand it over to the British was foiled when Andre was caught traveling through New York in civilian’s clothes. He’d been carrying notes written by Arnold, which offered the British guidelines for taking the fort. The Rosenbergs were accused of transmitting nuclear weapon designs to the Soviet Union during the Cold War and convicted on espionage charges in 1951. 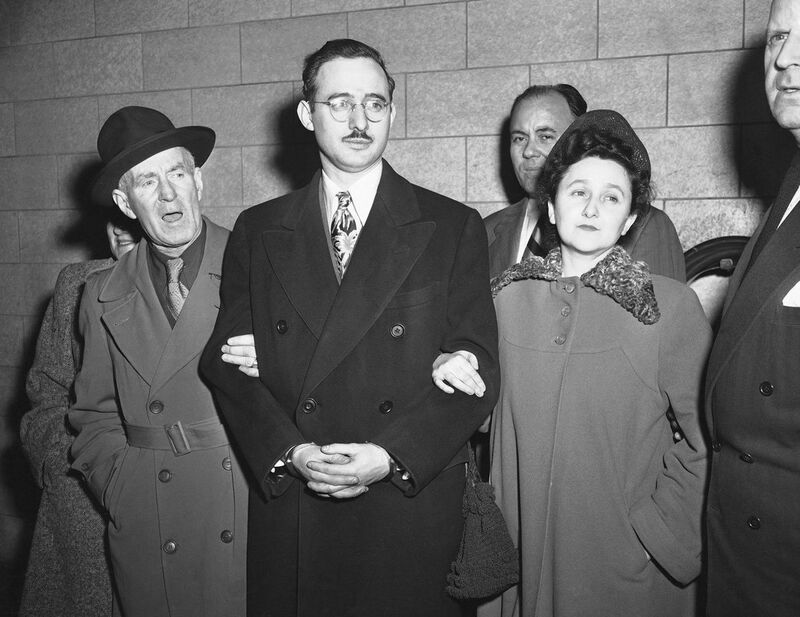 They were sentenced to death, but the case dragged on as the Rosenbergs exhausted all of their possible appeal options. President Dwight D. Eisenhower twice denied their requests for executive clemency, the first time in February 1953, and then again in June. “When democracy’s enemies have been judged guilty of a crime as horrible as that of which the Rosenbergs were convicted; when the legal processes of democracy have been marshaled to their maximum strength to protect the lives of convicted spies, when in their most solemn judgment the tribunals of the United States have adjudged them guilty and the sentence just, I will not intervene in this matter,” he said. Julius Rosenberg, who was first engaged by KGB agents in 1942, was executed by electric chair at 8:05 p.m. on June 19, 1953, at Sing Sing Prison. Ethel Rosenberg was executed just 10 minutes later. They were the only two American civilians to face the death penalty for espionage-related activity during the Cold War. The son of a CIA analyst, Ames joined the agency as a low-level documents analyst in 1962 and was promoted to increasingly sensitive posts throughout the ’80s. During his time with the agency, he betrayed at least 12 United States Secret agents working within the Soviet Agency, most of whom were executed. Ames, who spoke Russian and specialized in Russian Intelligence services, was eventually elevated to chief of the Soviet branch of the counterintelligence division, where he was tasked with recruiting and running foreign agents. In 1985, he sold a Soviet official the names of a pair of KGB officers secretly working for the FBI for $50,000. The same summer, he met with a Russian diplomat “to whom he passed classified information about CIA and FBI human sources, as well as technical operations targeting the Soviet Union,” according to the FBI. 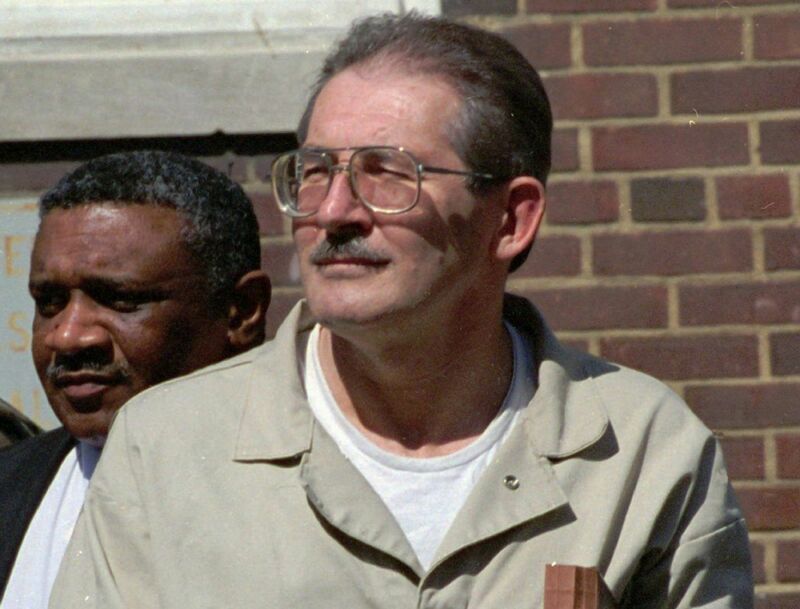 Ames continued as a spy until he and his second wife were arrested in Arlington, Virginia, in February 1994. He earned an estimated $2.5 million from Russia and the Soviet Union for his years of service. In April of the same year he pleaded guilty and was sentenced to life in prison without the possibility of parole. He’d been going through a financially disastrous divorce from a fellow spy when he first turned mole and was eager to make a quick buck, he said. Another one of America’s most notorious moles, Hanssen handed the Soviets, and later the Russians, thousands of pages of classified information. The materials included details on the United States’ nuclear operations and identities of Soviets spying for the U.S., among other national security secrets. The father of six joined the FBI in 1976 and began his double life just a few years later in 1979. He continued his espionage efforts through 2001, taking only a brief break in 1980 at the urging of his wife. Long aware of a traitor in their ranks, the FBI hired an ex-KGB officer to help them identify the turncoat. 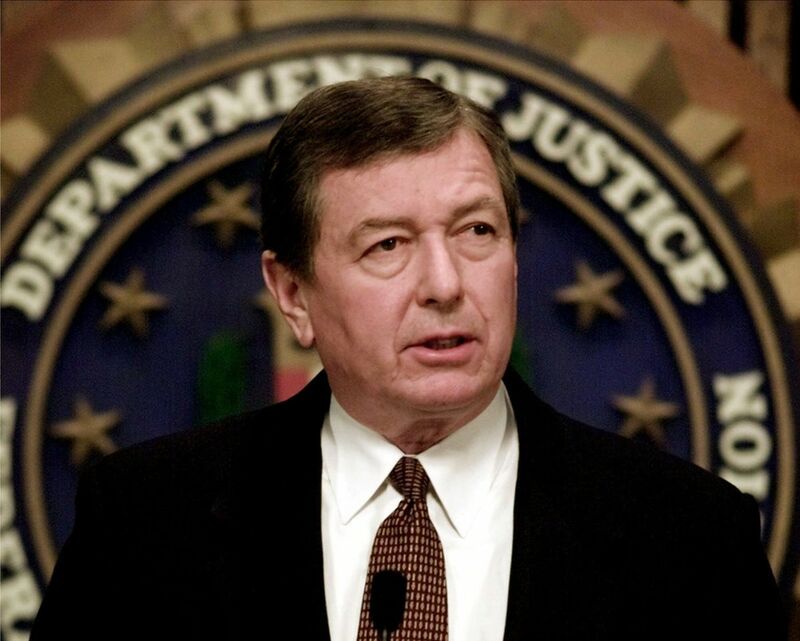 Hanssen was arrested at park in Virginia in 2000 after dropping off a plastic trash bag of classified documents. Nearby, authorities discovered a bag with $50,000 in cash intended as Hanssen’s payment. “What took you so long?” he reportedly asked his arresting officers. In a bid to avoid the death penalty, Hanssen pleaded guilty to 15 counts of espionage and conspiracy. In May 2002, he was sentenced to life in prison without the possibility of parole. 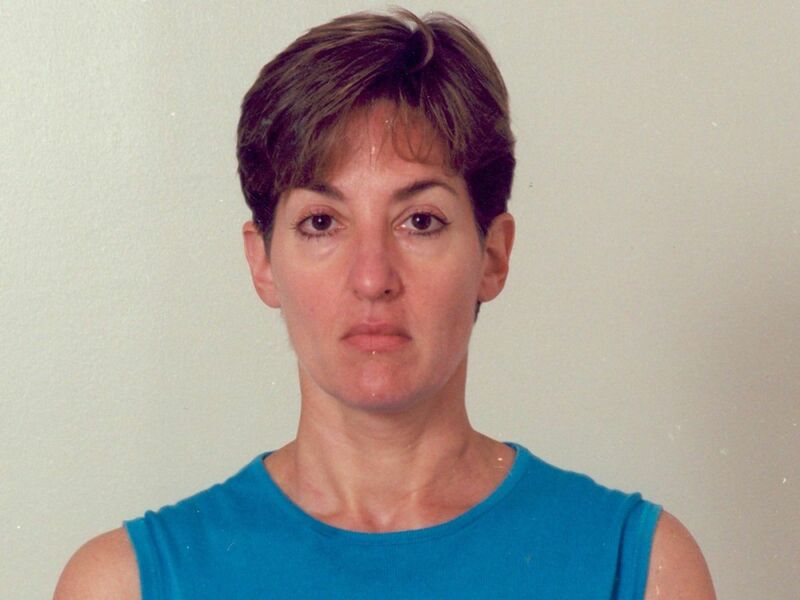 The former American senior analyst at the Defense Intelligence Agency was arrested and charged with conspiracy to commit espionage for the government of Cuba in September 2001. Montes often found herself at odds with President Ronald Reagan’s support for rebels fighting against communist strongholds in Central America, questioning whether the United States had the right to impose its will on other countries. Shortly after she connected with a Cuban recruiter, she nabbed her first job at the Defense Intelligence Agency in 1985. She was promoted several times in the following years, eventually becoming the agency’s top Cuba analyst. Officials began investigating her in the Fall of 2001, but the probe was cut short by the 9/11 attacks. In wake of the tragedy, Montes was appointed to a position that would give her access to information about the U.S. military’s impending invasion of Afghanistan. While FBI officials hoped to catch her Cuban handlers, her promotion forced them to arrest her rather than continue the investigation. In 2002, she pleaded guilty to one count of conspiracy to commit espionage and was sentenced to 25 years in jail. She was never paid by Cuba for her information.